It's weird—I always adored reading and had a blast doing creative writing assignments in school, but I never really dared to dream about actually growing up to become an author. At one point I wanted to write for girls magazines, but that dream pretty much died when I tried to figure out the financial logistics of going to New York City to attend college, LOL! It depends. Usually by the time I actually start putting words on paper for a new project, it's been stewing in my brain for months or even years. Once I'm actually writing it, the first draft can take anywhere from three to six months. I don't really come up with themes on purpose, they seem to kind of just sneak in there when I'm not looking, which so far has worked okay for me. When I'm drafting, I like to write first thing in the morning or late at night. I usually aim to get two thousand words per day, which sometimes happens and sometimes does not. It's definitely been a challenge, especially since having two kids, but I find that if I'm organized with my time, there's almost always time for everything and everybody. Isolation, fear of the unknown, exploration of family and friend relationships. Making yourself write on a deadline, even if you don't particularly feel up to it. So far I've written six books, only two of which have been published, and started a few others that are still waiting for me to come back to them. I'm about to finish my seventh book, which releases next year. Whichever one I'm currently working on is usually my favorite! I have to say, I had a blast writing the characters Nancy Shaw and Clara Owens, of The Women in the Walls. They're not main characters, but whenever I got to write them I always had a ball. I also loved writing the devil from the woods, from Daughters unto Devils. Talk about creepy fun! I used to write at my kitchen table, but I finally scored an old used desk from the Goodwill that now serves as my writing place. I love it. After finishing my first book, I was constantly Googling stuff about what the first step would be, and before long I realized that all of the most informative answers came from the same website, a forum at AbsoluteWrite.com. It was there that I learned how to properly query agents and pursue traditional publication. My side of the family is actually very small (there are five people total, including me,) but my mom was very enthusiastic about Daughters unto Devils, which was nice. I don't think anyone in my family is too surprised that I ended up writing horror—I've always loved scary, weird stuff. They've all been very supportive. I love cooking, doing crafts, playing video games, relaxing with my family, and hanging out with friends. Don't be too hard on yourself. Think of it more like you're figuring out a puzzle as opposed to running a marathon. Also, come to realize that writing a bunch of words only to delete them is actually very productive and will help you become a better writer. I have too many favorite books to name! I will say that I adore Stephen King, Joe Hill, Stephanie Kuehn, Jennifer McMahon, and Paul Tremblay though. The author that inspires me to write the most is probably Shirley Jackson—she is just the master of atmosphere. I have a few writing friends who sometimes read my work when it's nearly finished, but I mostly rely on the feedback of my agent, who is very editorial and always seems to understand what I'm trying to do, every time. I'm very lucky to have her in that way—I'm able to show her my roughest first drafts and not be afraid of her reaction. I'm just about to finish the first draft of my 2017 release, which is called The Ravenous. It's sort of like The Virgin Suicides meets Pet Sematary—five sisters have to turn to murder when one of them dies and is brought back to life craving human flesh. the television show Rick and Morty, my editor (he is very funny,) my friends, Tumblr, and my kids/husband. Humidity, the last episode of Angel, the realization that my cat Frodo is getting old, the ending of The Fireman, and the fact that I have to wait nearly a year for more Game of Thrones. I would love to visit an Irish castle and set a book there, or really any interesting haunted locations. 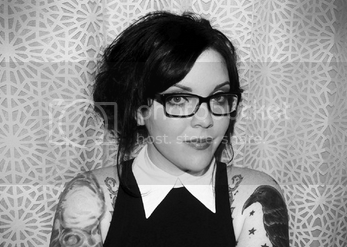 Thanks so much for stopping by today, Amy. It was great having you with us! I hope you get to visit that Irish castle! Great interview! Wanted to read this creepy book the first time I saw the cover. 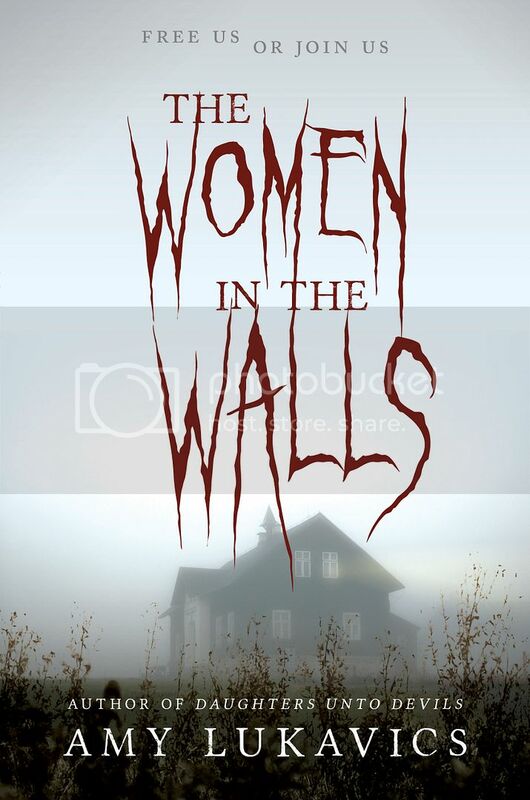 I've been looking forward to The Women in the Walls for a looooooong time--can't wait to read it! I can't wait! Doing my best to Usher in a new wave of gothic fiction! AMY is clearly my people...the same exact things make me sad, except sub in my dogs getting old. Loved this interview thanks for it!